I think this variant is actually just titled ’44’, but with a Lewis Hamilton name-based endorsement thrown in the mix. 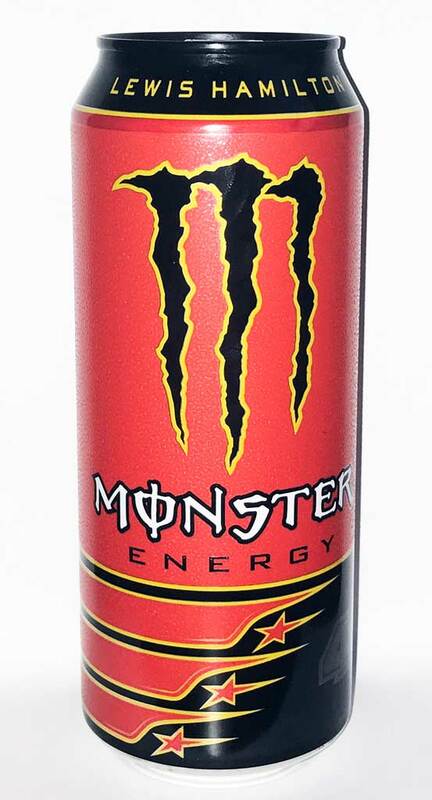 I think what Monster have is a generic ‘sponsor endorsement’ recipe that they bring out with a special can design every once in a while because this tasted just like the can of Monster Energy: Gronk which I tried whilst on holiday in the USA (Gronk being an American footballer…). Well, Americans probably don’t know who Lewis is as much as us Brits are unfamiliar with American footballers, so I guess it makes sense to use a different personality in each country! As I described in the other review, it tastes nice, but it’s just a slightly tweaked version of the regular Monster Energy drink.